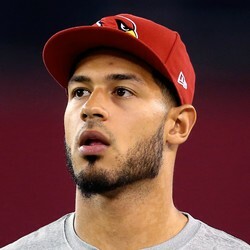 Logan Thomas, who scored a 22-yard touchdown last week, caught one pass for seven yards Sunday against Oakland. It was his only target. This normally wouldn't warrant a fantasy update, but what's amazing about it is that he did it less than a week after the death of his baby daughter one day after she was born. Coach Sean McDermott gave him the game ball afterward. If heart and inspiration were fantasy categories, Thomas would've been a game-winner this week. But as it is, he has no fantasy value in a Buffalo offense that continued to trend away from its tight ends.